Join the more than 24,000 students who have participated in assisting Dr. Proton and Adam the Atom in their adventures, as they learn about the Nevada National Security Site (NNSS). Operation Clean Desert is a set of activities geared toward teaching children about ongoing efforts to address environmental challenges, such as contaminated groundwater and radioactive waste disposal. The complete lesson plan includes an activity book, a teacher’s guide, and an interactive computer game. Parents, educators, and community groups and programs can request free copies of the activity book and teacher’s guide by emailing EMNV@emcbc.doe.gov or calling (702) 295-3521. Download our brochure for specific details on Operation Clean Desert. 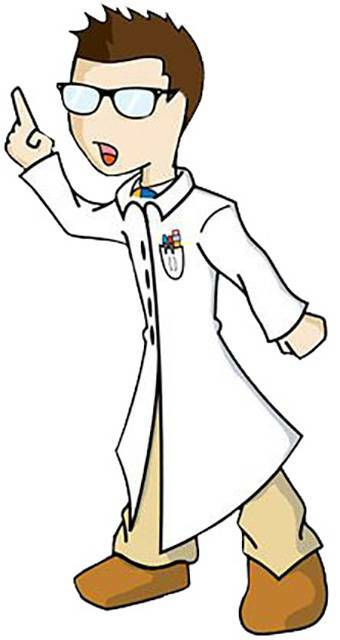 The activity book follows the adventures of Adam the Atom, Doctor Proton, and their friends as they travel to the NNSS. Along the way, they share tons of interesting facts about the Site, including its unique and important history and environmental cleanup activities. The activity book includes illustrations mixed with actual Site photographs which present scientific information, an experiment, word puzzles, and an atom activity. A companion lesson plan is available for educators upon request. Download the entire Activity Book or send a request for a hard copy to EMNV@emcbc.doe.gov. Operation Clean Desert in the Classroom is a science module that uses characters, Dr. Proton and Adam the Atom, to educate students about environmental cleanup of contamination caused by the historic nuclear testing at the NNSS. Students will use the scientific processes, protocols, and tools, including inquiry, to build understanding of structures, patterns, and relationships explained through the Operation Clean Desert Activity Book. Critical thinking, collaboration, accuracy, and communication skills will be emphasized as students refine their scientific literacy.